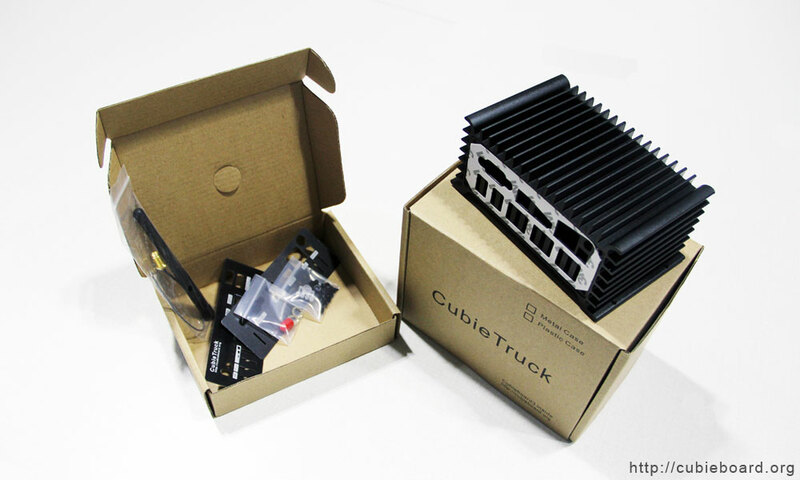 You are here: Home › News › CubieTruck Metal Case is available now! CubieTruck metal case (named CT-MC for short) designed by cubieteam is a new case for the open source hardware CubieBoard3. It has very strong and overbearing appearance, very simple and reasonable structure, and also with solid and high-grade materials. It is all ready for sale by now, looks like picture below. 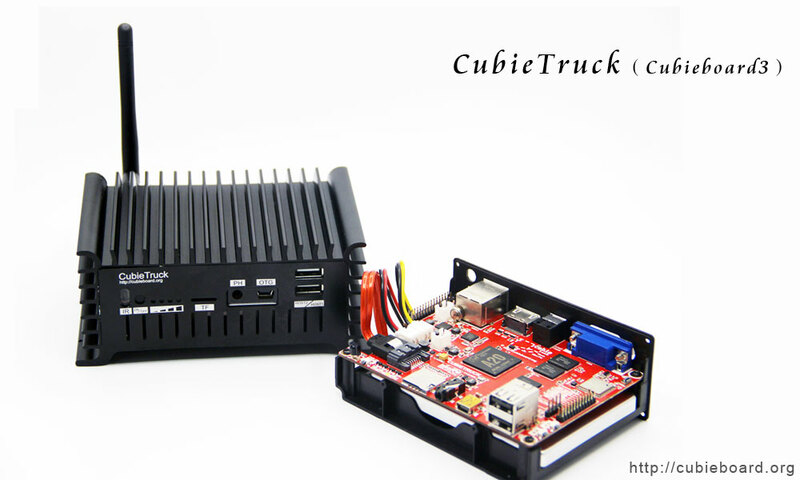 Since cubieboard3 has a overbearing name which is CubieTruck, Cubieteam intended to make a very matching case long time ago. It would target in server areas, industrial control applications, or some other special industry market. We received lots of praises and encouragements which made us more confident after releasing some pictures in the forums. Reliability and stability are the most important features in server and industry application fields, so the CT-MC heat sinking issue was been taking fully consideration in the design process( Notes: CB3 itself is not so heat, only need 3-5W power consumption, even small than a low efficient light-bulb, but if installed a 2.5 inch HDD, the HDD through a long time rotation will cause a heat deposition issue).The radiating fins stretch in all directions makes itself disparate, but makes it stand out. 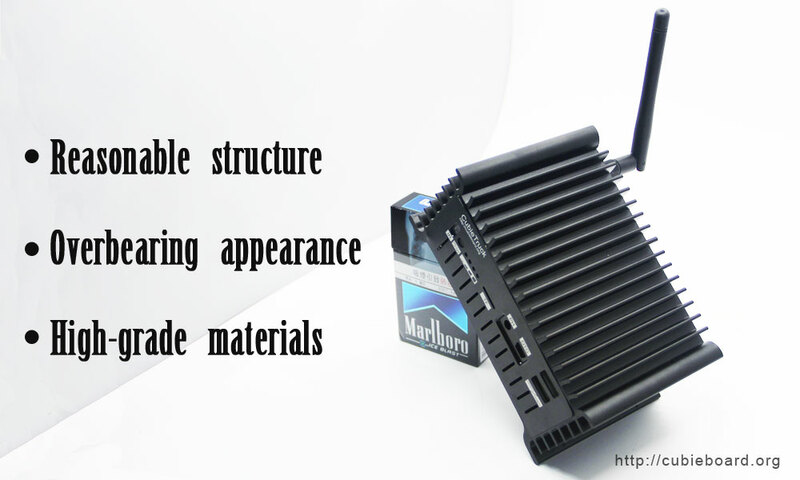 Although by its appearance we qualified it as rough product, it still has delicate side. And it was crude and refined, we can’t see any screws and any chisel trace from the whole machine. It’s rational construction was embodied in two sides：firstly, the installation is very easy and the logic is clear. Although we have provided the installation guide, but I still believe you can finish the installation without watching it. Secondly, it keeps the dev-board’s nature that is easy for test and hacking, after debugged work, put it into the metal case, it immediately become a high-grade whole machine. I really have highly praise for the design inspiration, the enlightenment was short like a pipe dream, but which made me bear ten months seeking and waiting. We qualified it as solid and high-grade materials means the notion for costs input. Cubietech always devote themselves to make the quality products, Cubieboard was always made as the industry’s quality standards but consumer product’s price, put themselves into low profit to expand the sales for survival and development. Based on this notion, the high cost will lead to the higher price, it naturally with a high quality. But if I must explain the CT-MC’s wonderful feeling clearly to you, I have to take high costs to make a exquisite and HD video like Apple Event. To save the cost for CT-MC itself, I’d like to turn the evaluation right to the users. When you have the case on hand, you will have the perfect experience. Your hand feeling would not lie to you. 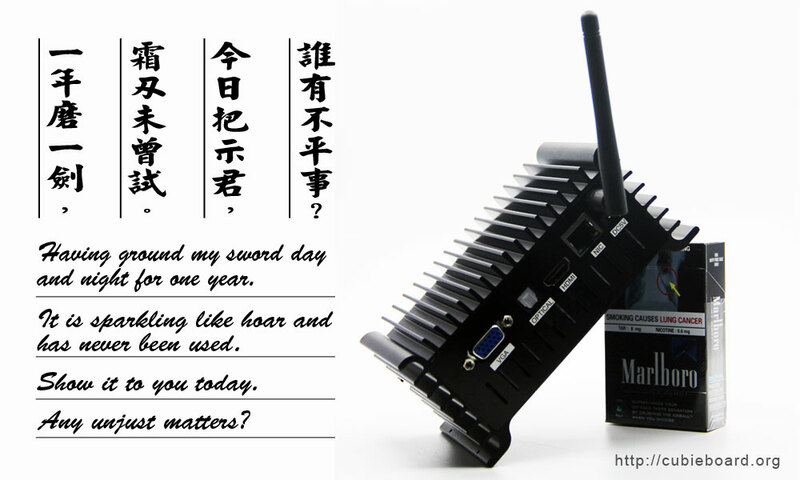 Sorry for my English expression, but in the end I still like to express my attitude by a Chinese poem. To get the installation guide, please click here. To discuss in Chinese language, Please come here. 4 Responses to "CubieTruck Metal Case is available now!" Is ce and fcc compliance available for product “cubietruck+CT-MC”? This looks fantastic! Will you offer a similar case also for cc-A80. Would love to get one.